NORTH AUGUSTA, S.C. – Cla Knight is set to kick off his second season of super late model competition and he’ll be doing so with a few changes. While the look of his familiar Augusta Aquatics No. 42 E-Z-GO Golf Carts/ M&W Transport/Maxxis Kart Racing super late model will be similar to last season, Knight will be aboard a new chassis. 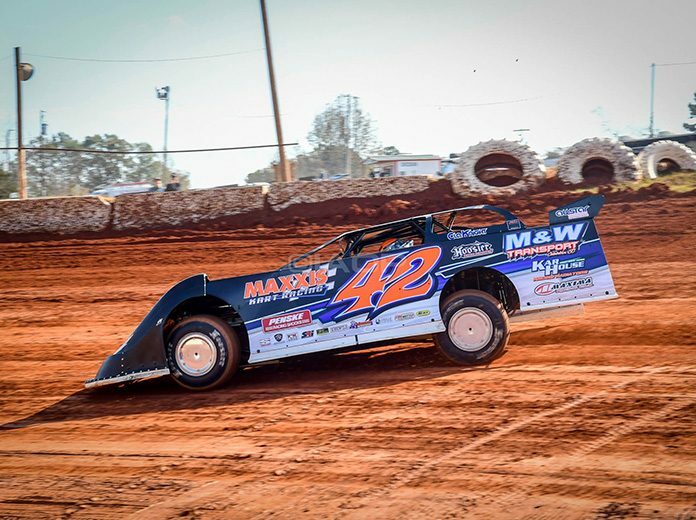 After enjoying success in the crate late model ranks over the past few years, Knight spent much of the 2018 season learning the ropes of the super late model division. As Knight prepares for his 2019 endeavors, thanked all of his marketing partners that make his program possible.